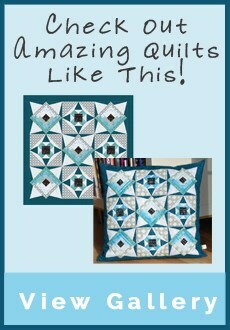 I designed the quilt, made the sample and did all the Quilting on it. 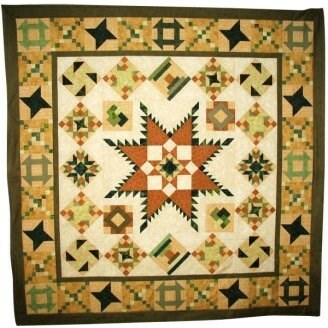 Originally i designed this quilt right after getting EQ7 to practice custom set quilts. 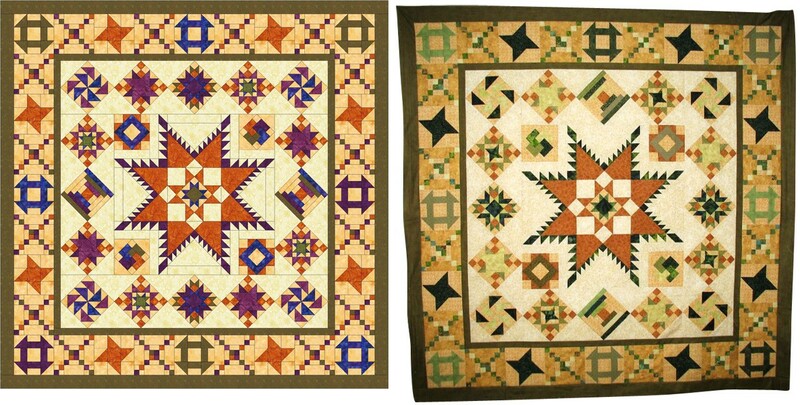 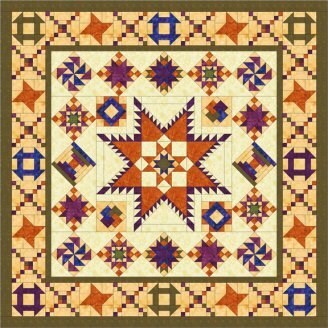 I have since written the pattern for it and will be teaching a Saturday Sampler Block(s) of the month based on this quilt starting April 27 at the Quilt store where I work.